The rules are the game only takes place in the month of May every year, and there are other agreed upon guidelines like no “tag backs.” The kicker is that Jerry (Jeremy Renner) has never been “IT.” Yes, in all the years the crew has been playing the game, he’s never been tagged. The other players see an opportunity during Jerry’s wedding weekend, if they can overcome his determination, his bride-to-be (Anabelle Wallis), and the various women in their lives, as portrayed by Isla Fisher, Rashida Jones and Nora Dunn. 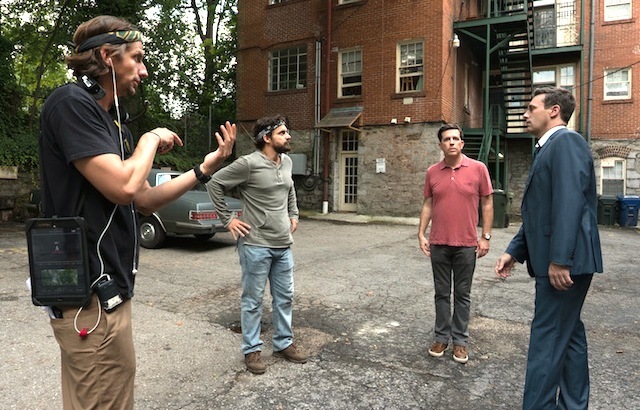 In the following podtalk with Patrick McDonald of HollywoodChicago.com, Jeff Tomsic relates his directorial approach to “Tag,” with its movie-star-laden ensemble cast, and the film’s true story roots.